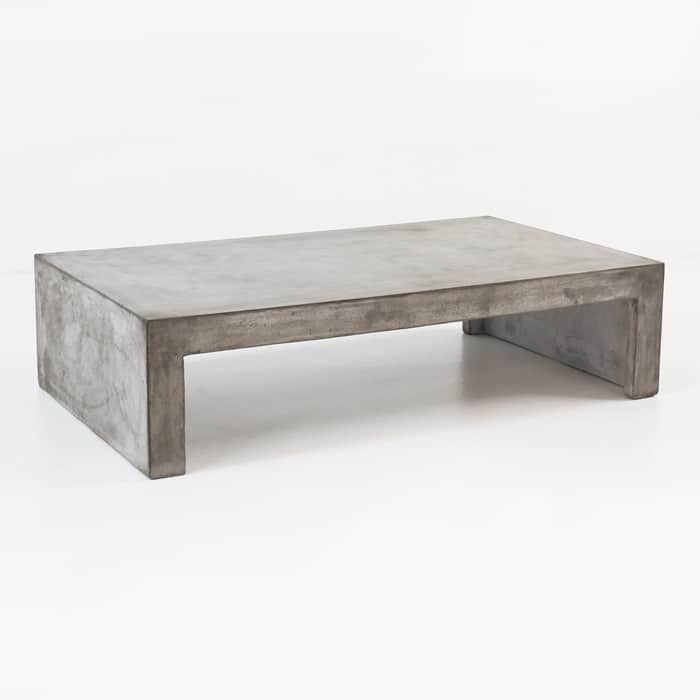 Our Blok concrete range has numerous stunning options for a spectacular outdoor living space including this Blok Concrete Waterfall Coffee Table. 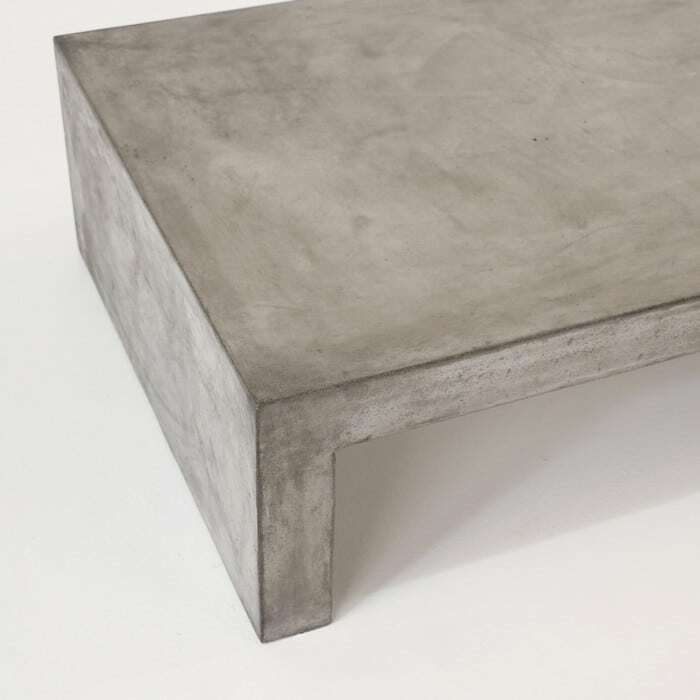 Whether you have outdoor wicker furniture or a-grade teak furniture, this concrete coffee table will accent it beautifully. 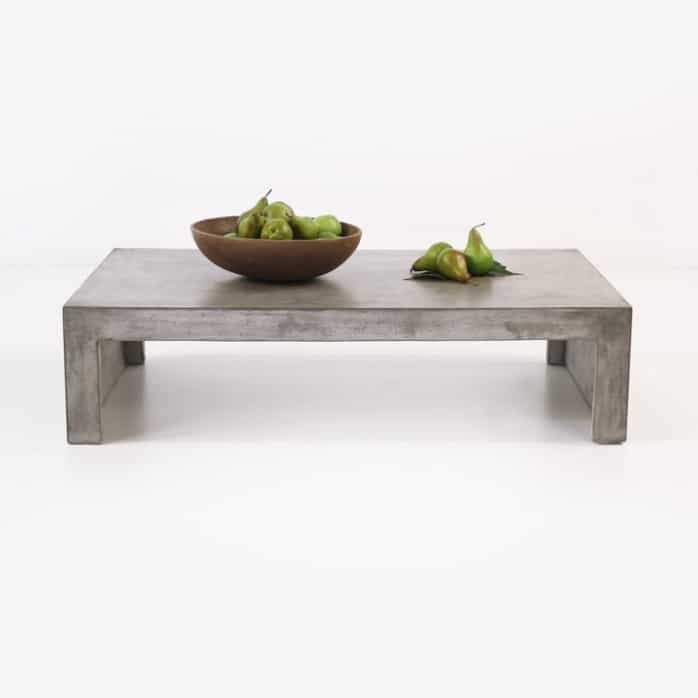 Its warm concrete colour will play off any colour palette you choose. 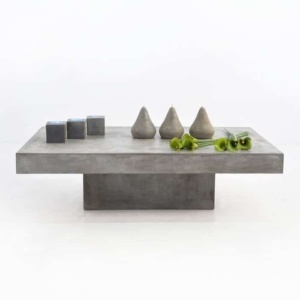 Design Warehouse’s Blok concrete is made with a concrete resin blend. This mixture is perfect for outdoor use. 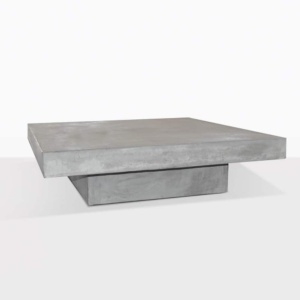 It is strong and durable, yet also lighter and easier to move than plain concrete. It is important to keep your concrete piece clean and free of outdoor debris.